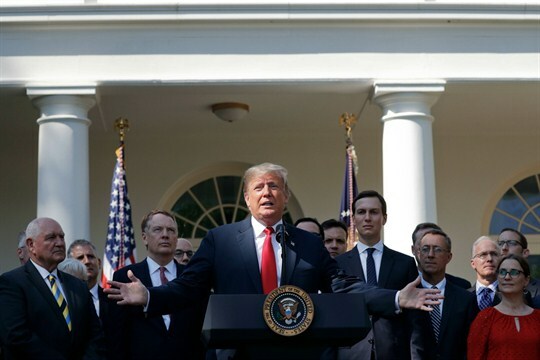 President Donald Trump announces a revamped North American free trade deal in the Rose Garden of the White House, Washington, Oct. 1, 2018 (AP photo by Pablo Martinez Monsivais). Deadlines can be useful in negotiations since they often force sides to act. If there is a difference in the intensity of interest in reaching an agreement, however, leverage shifts to the party less desperate to get a deal. That is evident in the now-successful effort to renegotiate the North American Free Trade Agreement.